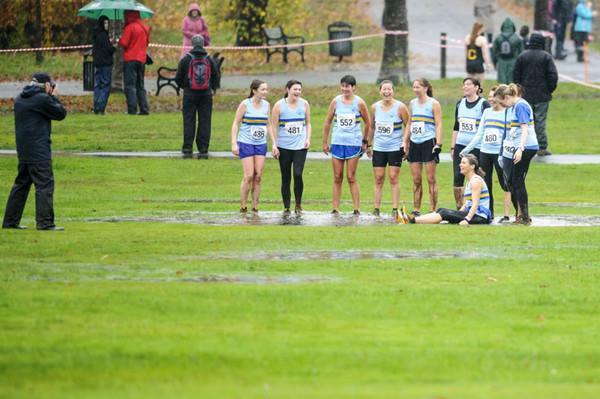 This weekend’s racing involved 2 races, both held at a water-logged Bellahouston Park. First up, on Saturday, was the National short course XC championships – a race which has grown in prominence in recent years, and boasts very strong fields including GB internationals Laura Muir and Andrew Butchart, who would go on to win the ladies and mens titles respectively. Alan Mollins and Ryan Brown were the first Harriers in action, in the under-15 boys race. The boys ran a sensible race, working together in the early part of the race, and will have gained valuable experience competing in another national championship. Joshua Ruddy was next to run in the under-17’s race, and he too ran a steady race in a very competitive field. Highlights in the ladies race included a continued return to form of Suzi Coyle, first home for the club, followed closely by Marian Monk, who is quickly returning to her best form after an injury plagued summer, and another strong showing from recent recruit Catriona Stirling. Lorna Coyle was the 4th counter, securing 15th place for the team, and despite not being in top form, Lorna still secured first place in her age group. Lisa Ruddy also continues to improve, and there were good runs from Lana Hanson and Susan Clark, and a cross country debut for Nathalie Smith. The men had a strong team performance, with the top 5 all closely grouped, and secured another top-10 placing in a national competition. Shaun Lyon continued his recent good form, earning a top-50 place in the high quality field. Andrew Harkins just managed to out sprint David Henderson for the second week in a row, and Paul Monaghan won the battle with Stevie Campbell to be the 4th counter. As usual, the club’s veterans had strong showings across the various age categories, with Paul Monaghan and Stevie Campbell 4th and 5th in the V40s, Stevie McLoone 4th V50, Robert Wilson Sr. 1st and Micky Dunn 3rd in the V60s, and Frank McMahon 2nd V65. Captain O’Rourke will also be pleased with excellent performances from newcomers Mark Vance and Daniel Doherty, running his first XC since school, who will hopefully challenge for top-6 spots in the longer cross country events this winter. There was also fine displays again from Robert Wilson Jr, Stuart Austin and a XC debut from Steven Smith. If anything, conditions were even worse for Sunday’s Jimmy Irvine 10k road race, with a strong wind accompanying the continued heavy rain. 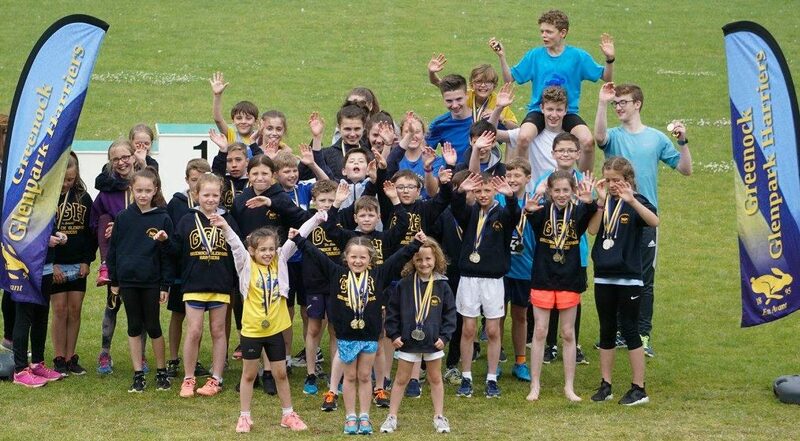 With conditions not conducive to fast times, it was testament to the massive improvements made by many of the club’s new members that 5 of the 10 Harriers recorded new PBs. Leading the way, taking 2:45 off his PB, was Stuart Austin, following on from his strong showing at Saturday’s XC. Marian Monk and Lisa Ruddy also doubled up, running both events, and earned new PBs, while new member Kirsty Ormond finished just behind Marian, and will be a useful addition to the ladies squad, and Angeline Austin also ran a personal best, and will be pushing for a sub-50 time next season. Super vet Lorna Coyle, was 1st F55 for the second day running. 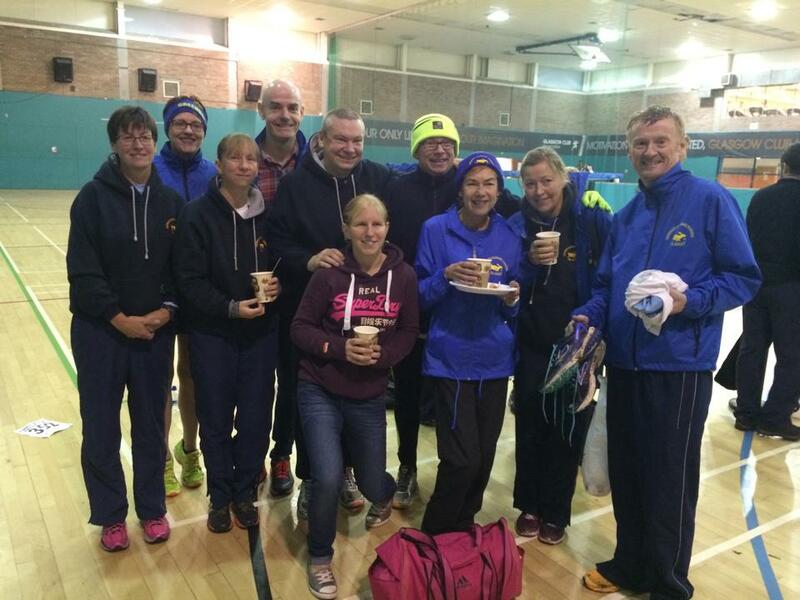 This entry was posted in Uncategorized on November 8, 2015 by greenockglenparkharriers.